The pain was suddenly so severe, that I screamed, “Call an ambulance!” I was writhing in agony. 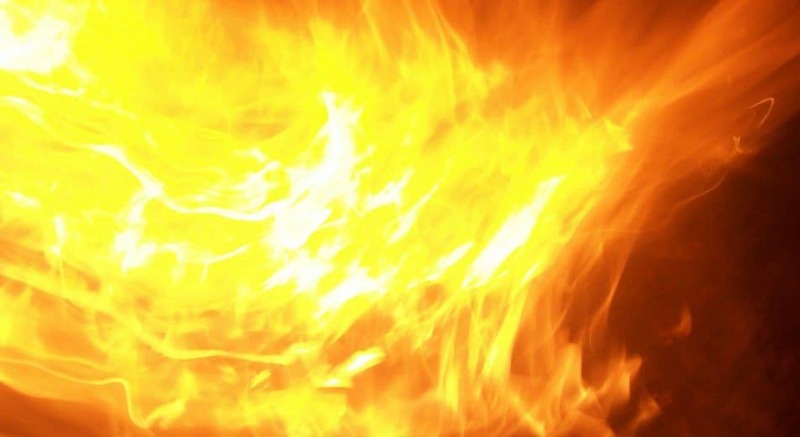 What happened next was an explosive realisation – more about that in a moment. But first, let me tell you, that after around 7 years of illness, I have been recovered for several years now. So long, that it is starting to truly feel like a thing of the past and the rawness of the experience, the suffering with Fibromyalgia and ME/CFS has somewhat worn off. In fact, I had to look up the dates to realise that it is 4 years now that I have been recovered. We often feel frustrated that others don’t realise the depth of our suffering with ME/CFS and Fibromyalgia. In fact, many people get so stuck in this frustration that they never move beyond this towards recovery. But if you still have this illness, then what might surprise you, is that NOT EVEN YOU realise how bad the suffering with Fibro, the suffering with ME/CFS REALLY is. I have seen people become very emotional as they recover and finally realise the depth of the suffering they experienced during their years of illness. I myself experienced this. In fact I distinctly remember going to a theme park with my wife and children when I had recovered, when I suddenly remembered my previous visit during my years of illness. The memories of how I dragged myself around the park, constantly looking for respite came flooding back. I remember suddenly feeling very emotional, finally realising how I had gritted through the symptoms and tried to put on a brave face all those years. I finally realised just HOW DIFFICULT IT WAS, because I now saw how easy it was for a well person. I kind of felt sorry for “that guy”, even though that guy had once been me. When we are sick for a long time, we lose perspective. What we describe as ‘feeling OK’, a well person would describe as ‘feeling terrible’. But it isn’t just the depth of the suffering, which only truly becomes apparent as we regain a healthy reference point and perspective again. It is also the awful frustration of having little ‘proof’ of our suffering with ME/CFS and Fibromyalgia and constantly feeling like we have to prove it to others. A recent experience reminded me of this! It was the end of the working week, and I was back at my desk writing the recovery program, when suddenly a severe pain pulsed into my ear. I had finally gone to the Doctor that morning as I had been feeling dizzy the last few days, and the Doctor had prescribed some anti-biotics for an ear infection. “Hmm, finally a bit of pain, no matter, glad I went to the Doctor this morning” I thought. But suddenly the pain became severe. I went in the living room to find my wife with our kids and their little friends, and told her of my ear when suddenly there was a loud scream. I was shocked to realise it was me! “Oh – sorry. It really feels a bit severe”. I felt sheepish and retreated away from the kids into the bedroom with my wife following. But moments later the pain grabbed me again and I called out again, more muffled this time as I was ready for it, or so I thought. My wife looked at me with concern and I said “something is wrong, it hurts like crazy”. She picked up the phone to call the after-hours nurse and went through a series of questions that she tried to relay to me. But I found myself unable to answer as I was writhing in pain. Writhing – I didn’t realise people really do that. Then, suddenly I started to scream uncontrollably. Even though I had thought my pain had maxed out at level 10, IT NOW GOT MUCH WORSE! How was this possible? This was a new experience altogether. “Call an ambulance” I called out as I screamed uncontrollably in pain when suddenly my ear started to make popping noises. My wife looked at me as I became silent. The pain had subsided to about a 5. As I took my hand away from ear, my wife startled as she looked at my shaking hand – it was covered in blood! The emotion I felt next is so STUPENDOUSLY BIZARRE, that I had to share it with you! I felt a kind of happy satisfaction. I felt like saying “see, I am not making it up or exaggerating”. There it was, part of me STILL felt the hangover from all those years where everyone looks at you like a malingerer, not believing the extent of your symptoms and suffering. Like you are being some sort of weakling exaggerating your symptoms or being a hypochondriac. The injustice of being judged like that for so many years, the frustration of never having PROOF how bad the illness was, it was all still part of me despite the years of being well. That was my first insight. The second wasn’t anything new to me, but I think it helps you put things into perspective. During the coming 7 days, my pain stayed very high, up to an 8 or 9 at times, despite my second different course of antibiotics. Nights were the worst, and despite the fact that I was maxing out my daily dosage of pain killers including Panadol, Codeine and Ibuprofen, I was still in too much pain to get any sleep. I admit, the bursting of my eardrum that first day left me shaken, slightly traumatised. The specialist told me that the pain is comparable to child birth in severity even if it doesn’t last as long. He said that over the years, he has had many grown men writhing (there is that word again) and crying on the bed in his practice. I had only experienced such ACUTE pain when I had appendicitis as a child, but still, compared to ME/CFS and Fibromyalgia – THIS WAS ALL A WALK IN THE PARK! Now, I am not being cavalier here, I really mean it; this experience was nothing compared to when I was suffering with ME/CFS and Fibromyalgia, even though the severity of the pain was higher. So Why Is ME/CFS and Fibromyalgia Much Worse? Simply because with the ear pain, I knew there was an end in sight. With ME/CFS and Fibromyalgia it always felt like there was NO end in sight. Sure, you realised that the current flare up was likely to subside again soon, but even the milder symptoms in between severe flare-ups became unbearable – BECAUSE – I just felt they would NEVER end. No matter how bad the suffering is, if you know that there is an end to it, you can always find some way to take it in your stride. That’s why in my book Discover Hope I talk about recognising that things always change over time. Why I share the recovery stories to help people realise that recovery is possible. But of course, we don’t really think it’s possible for ourselves. Or at least we don’t until we get a deeper insight into what is going on and start to make progress as things gradually improve. When I speak with people about their recovery, the biggest relief for them is usually when they start to see an end in sight for their illness. So if you can find a way to change your outlook about your symptoms, then you too can reduce the suffering with Fibromyalgia and ME/CFS. Hopefully, hearing recovery stories about people sick for more than a decade and recovered since then for even longer will give you some hope for better possibilities. Yes I think just about everyone knows about MTHFR and methylation now in the CFS world! It is an extremely common SNP though, I think they estimate now that 1:2 or 1:3 people have an MTHFR snp, so it is certainly, on its own, not the cause of anything! Some have good results, some have no result and some have worsening results in treating it! And some have mthfr without it even expressing or causing any problems! There is a much bigger picture! Epigenetics, and all that Dan covers in his book! Hi Dan: I’m following u on twitter, which I haven’t mastered yet. I am an MS sufferer. It is wonderful that u are helping people understand the suffering of us with chronic pain. I have already learned 2 vital things. My suffering will change, and I must change my own perspective in dealing with this illness. I will continue to read and follow u on twitter. Thx for all u r doing. Whilst MS is clearly a different illness with a different pathogenesis, chronic pain conditions certainly have many commonalities, in particular how the pain becomes exagerated. Thanks you very much for the comment and I hope you continue to get something out of CFS Unravelled. Fantastic, anyone who shares their experiences with ME/CFS is amazing and has my greatest respect. Thanks Dan. Thanks for your kudos. I always welcome any help sharing the hope. Perhaps you would like to add some of the positive recovery stories to your websites? I think only people with chronic illness can get how harrowing the journey is at times. Some of my lowest points were actually on my way back up during my recovery when I had build up hope and experienced setbacks. The key is to push past this and gain new heights. Thanks for sharing with your comment and thanks for any help spreading the word of hope. Though I have fibro and CFS my symptoms have all but disappeared since changing my diet and adding some supplements. Thank you for sharing your story, I’m sure you will bring hope to other people suffering from this horrible condition. I look forward to more of your blogs. Thanks for your comment – that’s great to hear. A key to lasting recovery is understanding WHY certain strategies work so that you don’t have a relapse to some other trigger. I am a strong advocate for dietary changes and supplementation, but in the end we need to treat the cause and not just the consequences. Hope the VIDEO EXPLANATION resonates with you! Dan, thank you for a great post. Yes, for me the worst part of not being well is the feeling that it will always be like this. 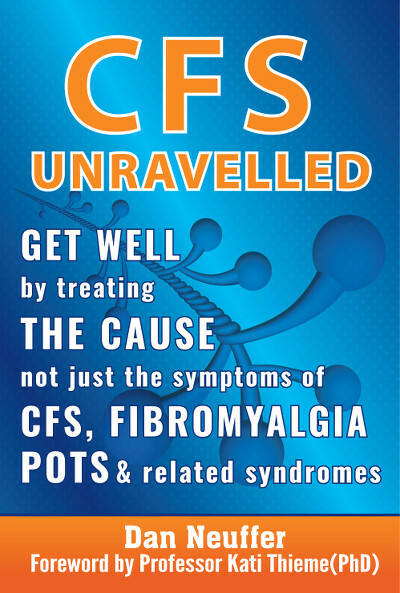 Thankfully, my CFS seems to be over the worst phase and now it comes and goes in waves, so each time it hits, I try to concentrate on the fact that it did get a bit better before… I’ve just received link to your three videos and I look forward to watching them…Many thanks again! Hi Beata, I hope the explanation finally helps you to understand how and why people get ME/CFS and Fibromyalgia and how and why they recover. Thanks for your comment and all the best with your recovery! 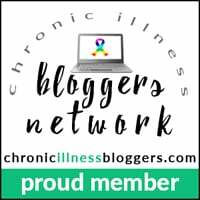 Thank you for this powerful post acknowledging what it’s like to live with a severe chronic illness. Very moving. Thank you for your comment – it’s so true what you say about the emotional recovery and not being understood. Sometimes, being with others can be the most lonely when they fail to realise what we are going through. But the main thing to focus on is the light at the end of the tunnel. Wonderful to hear about your progress!